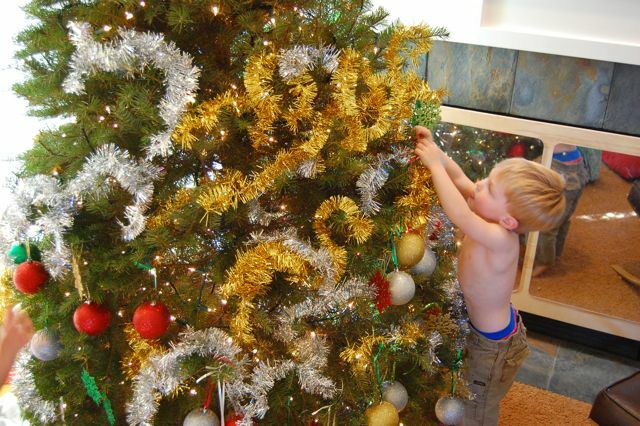 Each year, one of the greatest joys for the children at our school is decorating the Christmas tree. My husband and I set up the tree and string the lights. 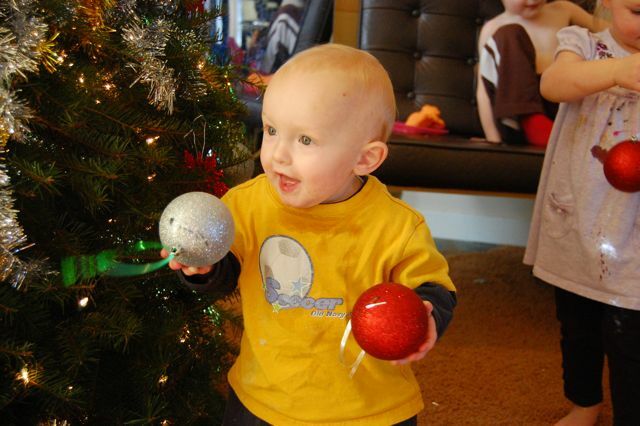 Then the children are set loose to decorate the tree themselves. Below are a few pictures to show how it's done. 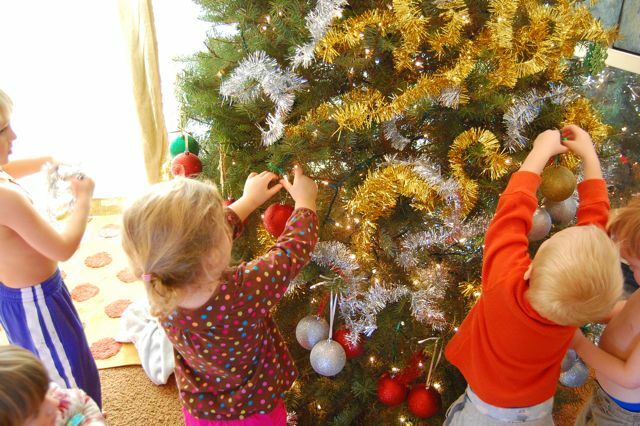 Yes, the final product ends up being a bit bottom-heavy on the decorations, but the children are proud. They LOVE it!